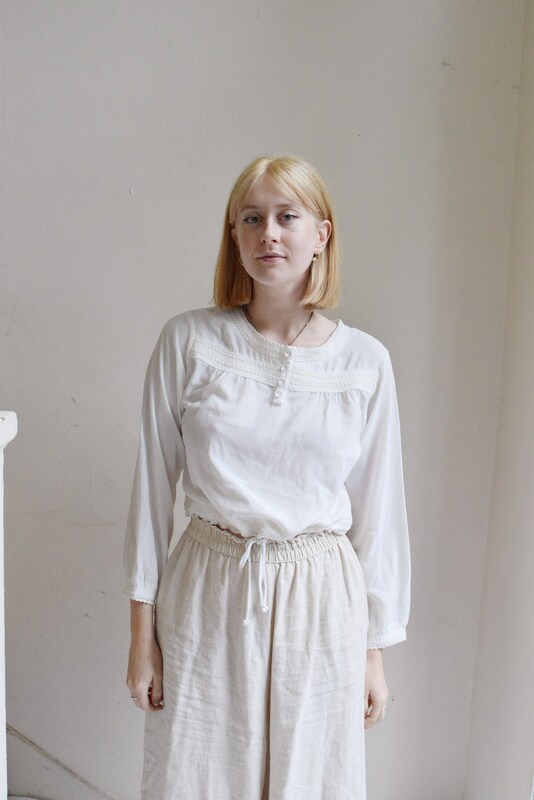 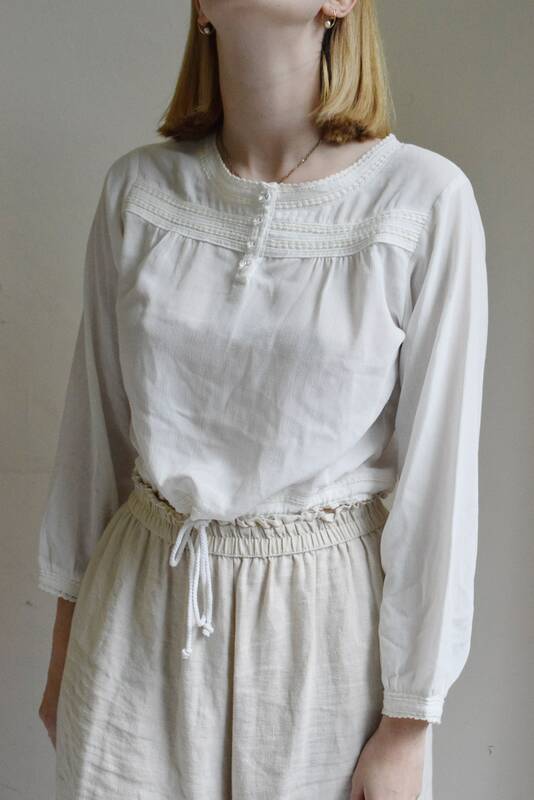 Light weight and airy, vintage peasant blouse with drawstring at waist and crystal buttons. 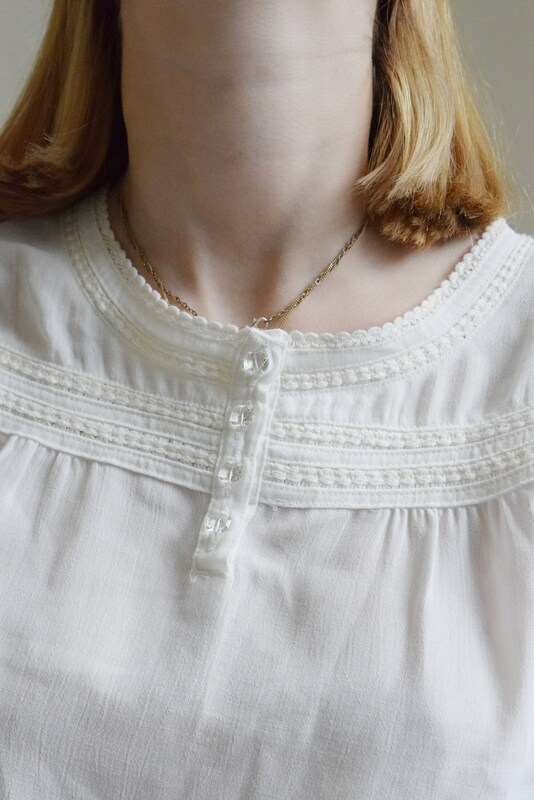 Rounded neckline and relaxed cut. 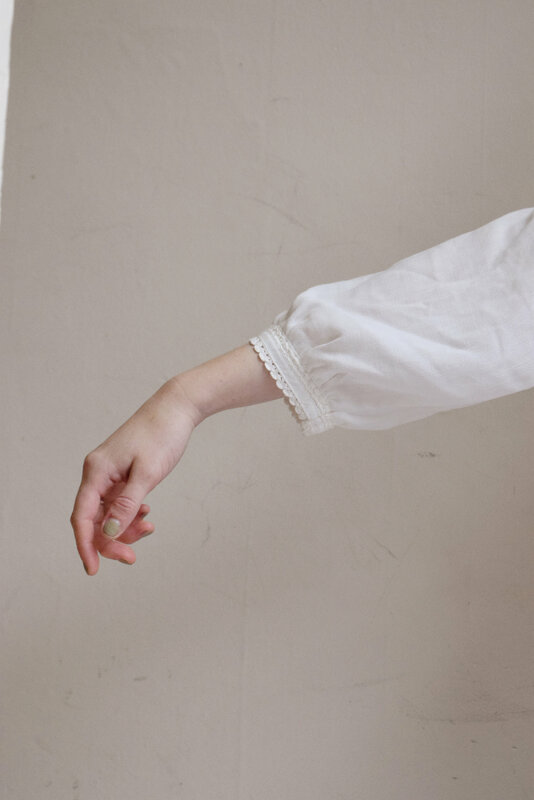 All measurements are in inches with the garment laying flat. 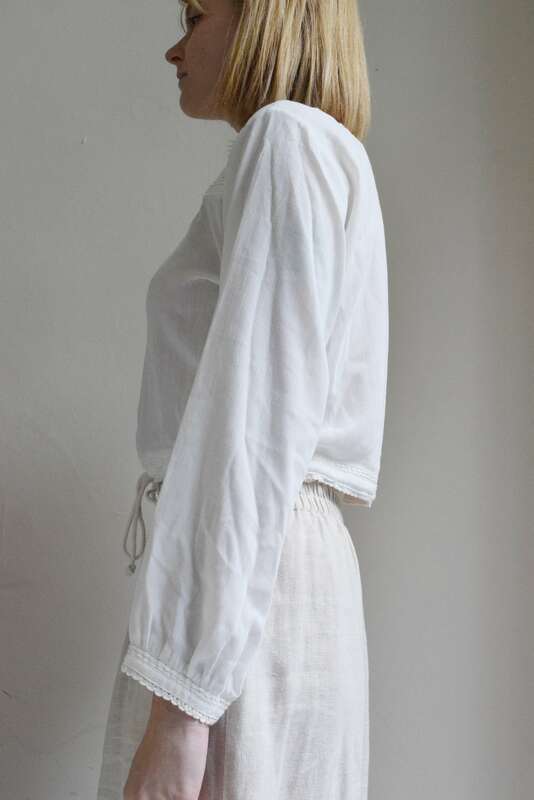 Waist can be tightened with drawstring.